More than 50 residents attended public briefing Thursday on water contamination near the airport. 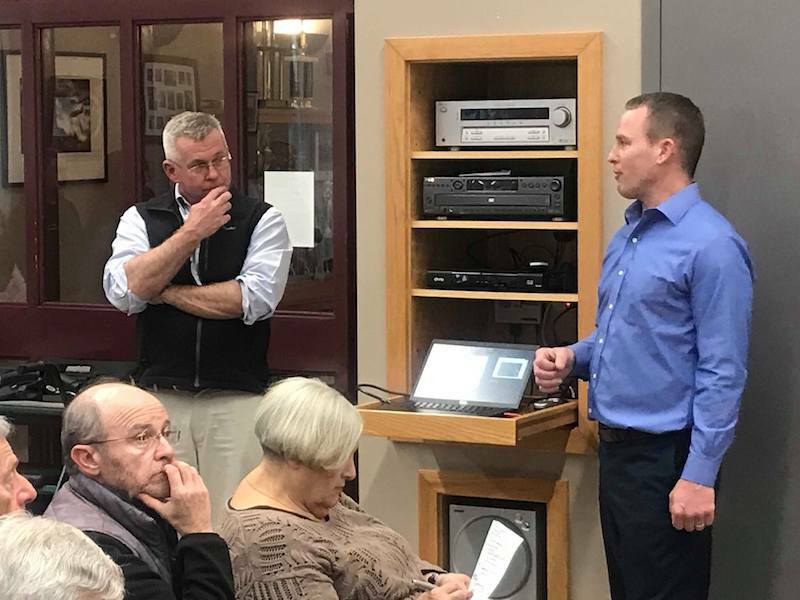 At a packed meeting of the Martha’s Vineyard Airport Commission Thursday, a spokesman for the state Department of Environmental Protection (DEP) gave an update on the discovery of chemical contamination in groundwater near the airport. 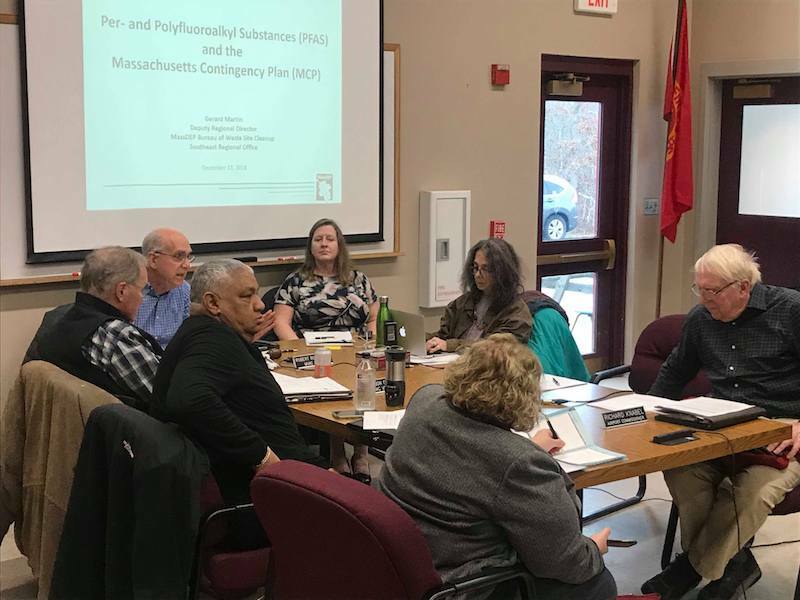 More than 50 people attended the meeting in the West Tisbury Public Safety Building following several weeks of well testing south of the airport for PFAS, a chemical compound found in firefighting foam. Gerard Martin, the southeast regional director for DEP, said PFAS is an emerging concern nationwide. He said there are currently no regulations governing PFAS, which is also found in many household products. The real danger comes from ingesting the chemical over a prolonged period of time, he said. “If we can knock down the exposure from drinking water, I think everyone would be better off,” Mr. Martin said. Ron Myrick, an environmental consultant and director of remediation for Tetra Tech who is leading the effort to test dozens of private wells following the discovery of PFAS in airport monitoring wells last spring, was also on hand to provide the latest well testing results. He reported that testing results are back from 18 wells so far, with seven showing PFAS levels above the safe limit of 70 parts per trillion as set by the state. He said findings ranged from no chemicals detected to 1,358 parts per trillion. He said testing done on 53 more wells in the past week should provide more clarity on the extent of the contamination. PFAS levels exceeding 1,000 parts per trillion were found in monitoring wells at the airport in July, which led to more testing that began this fall. During a question-and-answer period that followed the presentation, some residents asked why it took airport officials so long to tell the public about the problem. “There is some concern that you knew in July that there were elevated levels but the airport commission failed to notify residents in a meaningful way,” said Brock Callen. 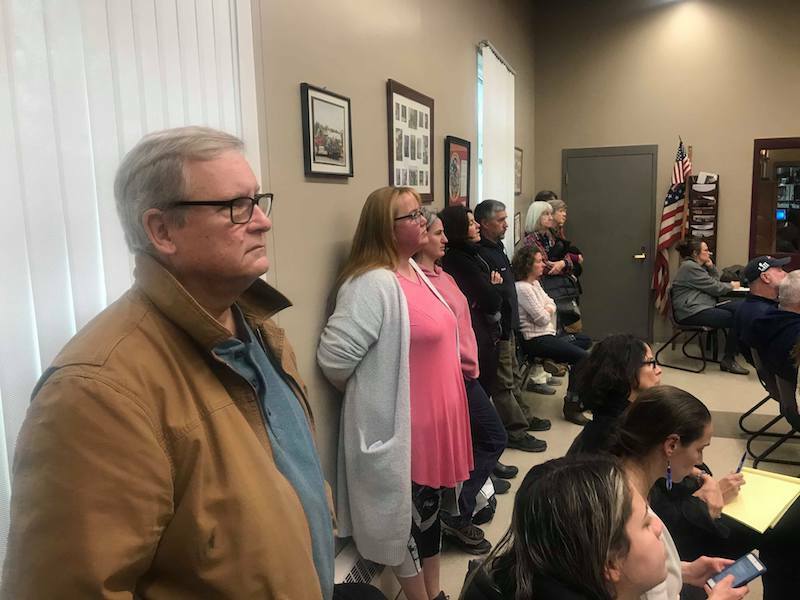 During the regular business portion of the meeting later, airport commissioner Richard Knabel urged the board to come up with a good answer to questions about the delay. Other residents were worried about adverse health effects from PFAS, which can cause thyroid, liver and kidney problems and can be unsafe for women who are pregnant. Ann Maley asked if the water is safe for bathing and household chores. Bathing and washing clothes shouldn’t be a problem,” Mr. Martin said. Felicity Russell asked how long PFAS can remain in the groundwater. “Over time it dilutes and has a lower and lower concentration,” Mr. Myrick said. Later in the meeting the airport commission voted to sign a new contract with Tetra Tech for $105,000 for more testing. A full report from the testing will be provided to the DEP in January. As a former homeowner in Coffins Field I feel really bad for you folks! You had years of endless legal battles and lawsuits now you can’t drink your water... I hope everyone tests there water by an independent lab on a yearly basis. Happy Holidays!